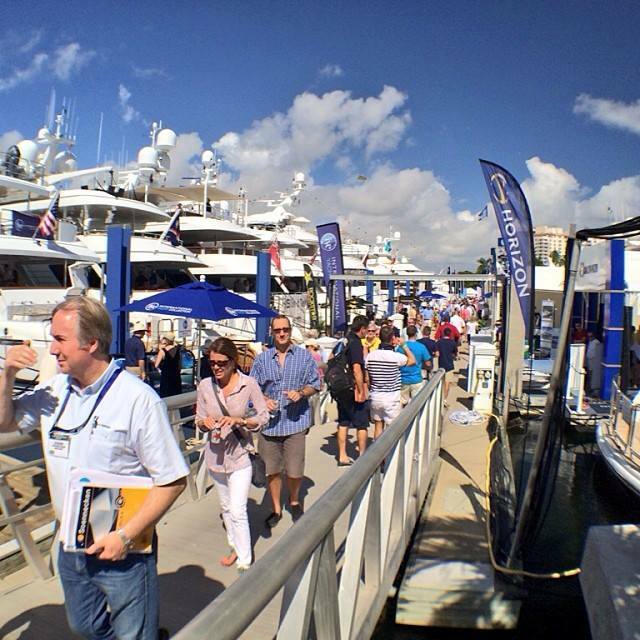 With the clocks set back and winter on its way, there are still plenty of reasons to be cheerful as the 56th Annual Ft. Lauderdale International Boat Show takes over southern Florida this upcoming weekend! As we move our way down from Newport & Annapolis, there truly isn't a show in the country that compares to this Show. With over an estimated $1.2 billion worth of vessels on site, the Ft. Lauderdale Boat Show is full of jaw-dropping boats of all sizes! The show is so large it must be held at six different marinas, with hundreds of exhibits filling the Greater Ft. Lauderdale Convention Center as well. There's no need to worry about traveling throughout the show however, as shuttle buses and water taxis make exploring the entire venue simple and painless! Captains, crew and families travel from all around the world to take part in this five day extravaganza starting this Thursday, November 5th running through the weekend until Monday the 9th. Last year, it was estimated that over twice the amount of people attended the Ft. Lauderdale show than Super Bowl XLIX! With over 1,400 exhibits on land and sea, whether you're a sailor, a fisherman or simply passionate about watersports and the ocean, there's something for everyone at the Ft. Lauderdale Boat Show. 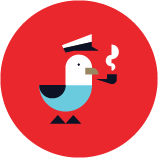 It's easy to work up an appetite while cruising the docks, so don't forget to dig into some of the great local options while you're there. Waxy O'Conner's, a local Irish bar, has built a reputation amongst crew staying in the area as one of the finest places to grab a bite to eat and enjoy a cold beverage. If you're looking to enjoy the beach while you eat, the Bahia Cabana Beach Resort is widely known as being one of the best dockside patio bars in southern Florida! If you're at the show, be sure to stop by to say "Hi! ", learn more about our partnership with BoatUS and also enter to win a Yeti Tundra Cooler at the Dockwa booth (#4187) in the Sailfish Tent right next to the Convention Center!